The Spirit of Kokoda celebrates the remarkable achievements of the Diggers who fought the critical battles along one of the most difficult pieces of terrain on earth to save Australia from Japanese invasion in WWII. 1942 was the year that Australia lost its innocence. By the time the Australian Diggers faced the Japanese invaders in Papua New Guinea, any impartial observer would surely have concluded the Allies had already lost the war. Drawing on a remarkable inner spirit, the Diggers held on against all the odds to first hold the Japanese and then to finally defeat them. Patrick examines that spirit and explores how we still draw on it today. 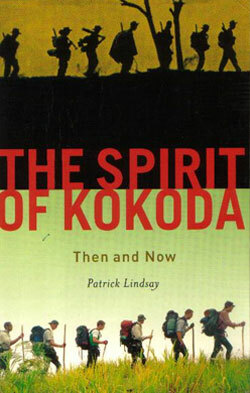 I have today finished reading your book, The Spirit of Kokoda. It is one of the few books that I have read that finishing it was like losing a friend.